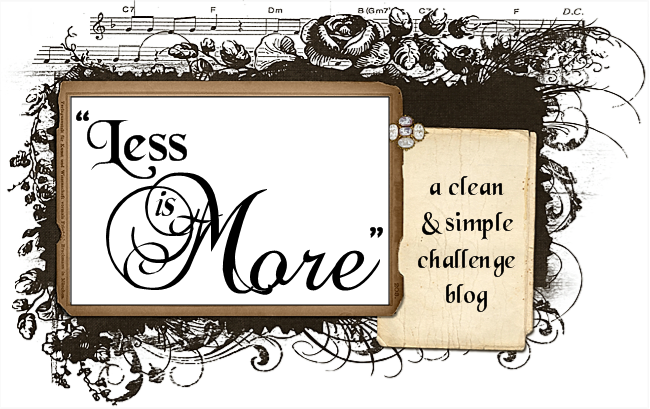 And Simon Says Monday and Wednesday challenges are both having an Anything Goes week. Hi, Karen: Your tag is very pretty. 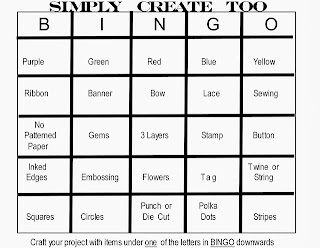 Thank you for playing BINGO with us at Simply Create Too--I like the items you used under our letter "G". Looking forward to seeing your entries in our upcoming challenges too. Love the texture you created on your tag. But I actually came over from the Magenta blog because I wanted to tell you how I loved the ATC's you made for the swap. Gorgeous colours and texture. 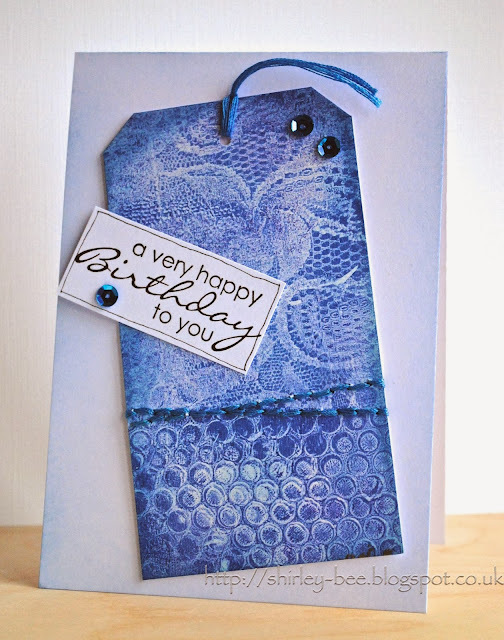 Hi Shirley, I love your elegant tag card, the lacey pattern is so pretty and the stitching adds a nice touch! 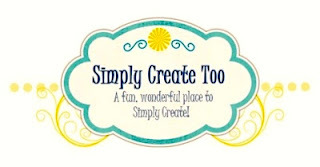 Thank you so much for entering Simply Create Too’s Bingo challenge! I hope you will play again in the upcoming challenges! I'm so sorry that I'm so late in visiting this time! This is such a gorgeous lot of stampiness! 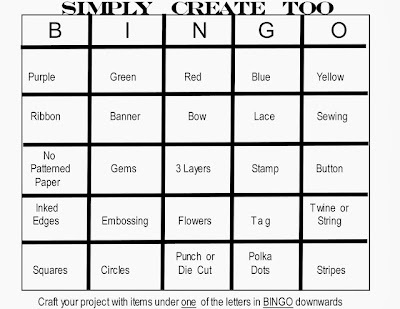 "Stampiness" great new word for your Gelli-ing talents. Of course those are polka dots. And lace. You did it, combined those two. I've actually had a look at the Gelli world. Could be another total money black hole - have you seen the round one? But hey, you use up the stash of paints. Does that justify? 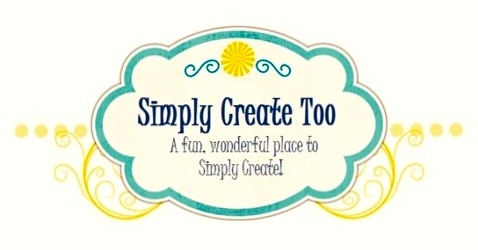 Great to see you at Simply Create Too!